We are piloting new models of sacred space to optimize our community presence. Is it possible to transform a facility from being invisible to the surrounding community to being a place of passerby curiosity, purposeful interaction and everyday gathering. Wholeheartedly YES!! But you likely need to move to a new streetscape location. The Barrie congregation rented a storefront space just 3 months ago. Our curb appeal presents through our picture window a Products for Purpose sales area, a Conversation Lounge and a comfortable learning space with a SMART 65” TV all within an affordable 1300 sq ft area. Our typical traditional Sunday attendance is 15 persons. This is magnified greatly through weekly community invitational programming. Through our experienced marketing using social media, meetup group networking, walking the neighbourhood hospitality, safe signage and an invitational enthusiasm we welcomed 80 people to our Open House. We literally had standing room only with sidewalk ministers sharing with passersby who stopped to see and hear what was happening in their neighbourhood. For a facility to exude mission, the dynamic visibility of your place, your safe name profile, the magnetism of your interior setup, the signage promoting your daily relevant activities, are the eye candy that draws the curious in your door. If you supplement this with marketing which exposes your welcoming space and endearing programs to the vast numbers of poised Seekers, you have the tools to be radically missional. Seekers comprise 30% of your community and their on-line search to fill the yearning within, to find community belonging, spiritual meaning and the means to make a difference with their lives; all lead to what you have created expressly for them. Mission is not about us. Mission in action is when the space for Seekers is safe, comfortable and inviting. Then every day numerous new people will drop in, every day social media draws those in life transitions into your space for conversation groups, Ted Talks, meditation, crafts, yoga, streamed lectures and movies that matter. Their lives are transformed by the space that carries an aura of difference from traditional faith based settings. Facilities matter in Mission. Renting vs ownership doesn’t matter, but if a congregation is trapped in financial constraints through ownership that limits their missional reality, then renting is a critical transformative step that also amounts to a survival strategy in this era of church decline. It is a no turning back decision to reframe $$ assets, to engage in covenant ministry in hands-on Seeker based modes not traditional approaches. The sometimes surprising reality in this adventure in faith is that the end result is so incredibly and radically fulfilling on so many transformative levels that you will discover that truly our welfare as a faith community, as disciples, is found in the welfare of those who newly enter our sacred space. So why rent? Our present congregations are almost invisible. They project religious institutional red flags and are typically only used by commuting congregants. Assets from the sale of a building invested in a rental space opens the door to vast new possibilities you never envisioned before. One facility with new missional creativity becomes two or more locations local to clusters of commuting members. These become new plants. Local literally means GROWTH!! The neighbourhood where you live, work and shop becomes an intentional interactive Mission space with your local friends. 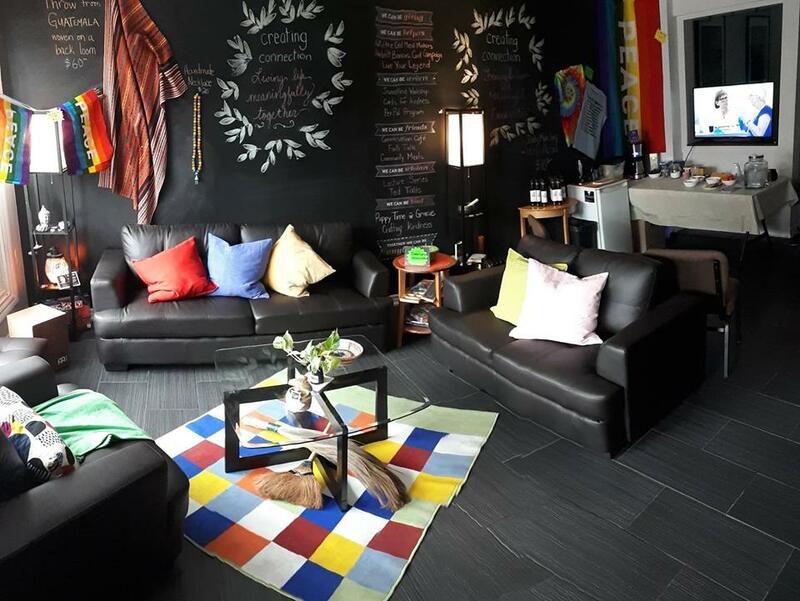 A safe space with new signage profiles, opens the door for comfortable invitation. Local proximity means the space is used for relevant activities every day and felt meaning within will bring friends in faith back week after week. Barrie congregation hosts events almost daily. The number of community participants outnumbers members. Our activities become our intentionally introductory platform to present the identity of Community of Christ. We created what we call “Identity Walls” which are filled with posters, graphics, pictures and resources that portray the life of our faith community, our Enduring Principles, Mission Initiatives, our inclusivity, our community engagement, camping programs and youth happenings. These become our talking points for safely relating who we are, what we value and what we do. This wall, our stories won’t be shared unless facilities are transformed into places of missional possibility. Let us become free of facility constraints in $$, facility designs that meet yesteryears needs, locations that are illusively invisible, proximity that is distant from our own daily lives. Let us be free to discern Mission from the eyes of those on the outside looking in, from the needs of the vast solo Seeker population in their search for sacred community they don’t yet perceive they need. Renting space allows experimentation and new models to be envisioned and piloted. The Mission Prayer daily inspires new courage and accompanying blessing. Let us be free to be is the call to be missional facilitators vs managers of facilities. Imagine it’s a grey, cool day, and you are feeling a bit nervous about the work you left undone and whether you packed everything you need, but the autumn tree leaves are on fire, you smell garlic roasting, and your warm cabin is waiting for you. This is how we arrived at Samish for our Nurturing Silence retreat on October 26th. Everyone was a bit nervous about how the weekend would go, since this was something new. Even those who had been to silent retreats before had never been to one quite like this. And those of us who were “in charge” had never done something quite like this before. So, while there was nervousness, there was also lots of excitement and anticipation for what lay ahead. We transformed the large multi-use “CFC” into a warm and holy meditation space, transformed a classroom into a cozy listening post, and transformed the usually plain dining hall into a candle-lit space for eating mindfully. It’s amazing how just a few candles, some fabric, and a few found items can make the old seem new. Our cooks treated us to lots of delicious sights, tastes, and smells in their creative, mostly vegetarian cooking. I enjoyed the notion of treating myself to romantic, candle-lit meals with the Holy Spirit! Such a delight! Silence turned out to sometimes be easier than we thought it would be, and sometimes be harder. I surprised myself when walking back to my cabin one night, I encountered a deer and immediately said “Oh! Hello there!” I wondered if it was ok to talk to animals at a silent retreat! The deer silently ate apples and stared back at me occasionally while I sat quietly and watched. Watching that deer was one of the ways I took “a long, loving look at the real”. This was one of the ways to look at contemplation that I particularly enjoyed. Most of the time things just easily moved along without need for words. Meal ingredients were explained on post-it notes, cleanup was done in a meditative and calm way, and there were friends available to give a listening ear if folks needed help getting back into silence. It was a wonderful time to feel connected to the Spirit more deeply and connect in community. Please come join us next year! Our Nurturing Spirit retreat is a great place to start if you’re nervous about a whole weekend of silence, and then when you’re ready, join us for the full Nurturing Silence experience. Prior to the weekend, I had always wondered what a Sikh man in a turban believed in... now I know. Prior to the weekend, I had never set foot inside a Mosque, much less heard Islam’s message as gentle and compassionate towards all people, including non-Muslims and women... now I know. Prior to the weekend, I had always wondered why the Hindu faith used such colours and gave offerings... now I know. 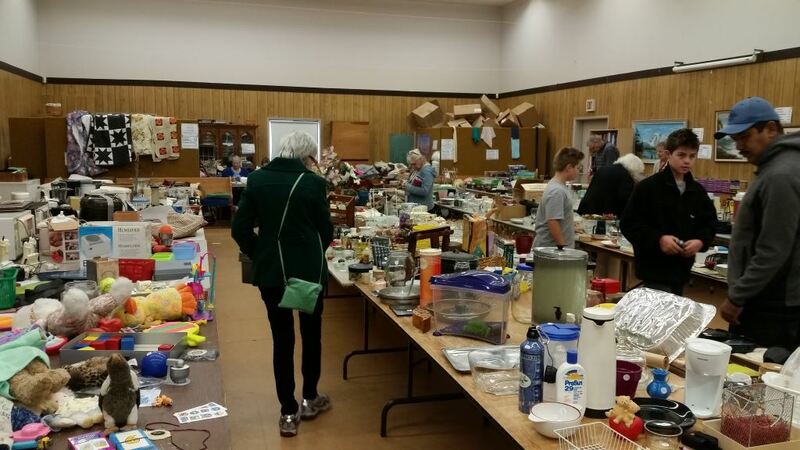 The Chilliwack Garage Sale is the perfect example of an event that is a success even if no church members show up to purchase anything. Chilliwack members run the event, but most of the purchasing is done by their community. Every penny of the money raised goes to charity. This year 50% was donated to World Accord, 25% to Samish Island Campground, and 25% to Chilliwack Supportive Housing. ​While I was at the fall garage sale a few weeks ago, I wondered when this had started and who’s brain child it was. That started me on an information gathering mission that I’m going to share with you. Marie Christensen told me that back in the 70’s the women’s group always held a fall Tea and White Elephant sale. In the early 80’s, (it’s the closest anyone can remember to an actual date), Vic Suddaby brought Executive Director, Terry Fielder, to Chilliwack to talk about Canadian Saints Outreach, this was before World Accord came into being, and it inspired the ladies and the congregation to expand their tea to a garage sale, and that’s how it all began. 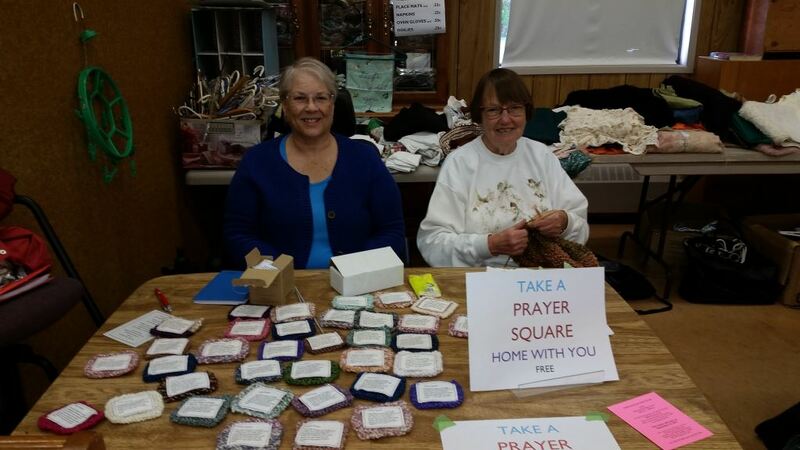 Shonnet Allen and Janine McCully said that originally the garage sale was held once a year for two consecutive Saturdays, but they started receiving so many donations the congregation decided to hold two 2-day garage sales each year, one in the spring and one in the fall. Barb Robbins and Joan Welch have always run the kitchen and lunch has always been available at the garage sale. It started as a cheap and convenient way to feed themselves and has evolved to a kitchen with 3 or 4 staff per day serving up coffee, tea, assorted homemade goodies, hot dogs with fried onions, ham and cheese sandwiches, and my personal favourite, egg salad sandwiches. About 8 years ago the congregation purchased a 53-foot trailer to store the donations. It seems they were tired of losing half of their activity hall as a storage facility. It takes countless volunteer hours and days to manage the garage sales, from meeting people at the church to collect donations, Janine McCully, Fred Robbins, and Keith Campbell do this, then setting up tables, unpacking the donations, sorting, and pricing everything. An average sale day will have 15-20 members on hand to help. When I go to the garage sale, I try to get out to help with customers, fill in the blank spots on the tables and do whatever they need me to do, but lately they just tell me to shop. Maybe it’s because in the last couple years I’ve purchased a large triple drawer, triple wide filing cabinet, 5 vases, games, and lots more. Plus, I always go home with a plate full of homemade desserts for my partner. Hey, I’m just trying to be supportive! Joan Welch started keeping a record of the proceeds back in 2012. Since then, the congregation has raised over $42,000.00. That’s just the proceeds from 5 of the last 40 odd years, an average of $7000 per year. 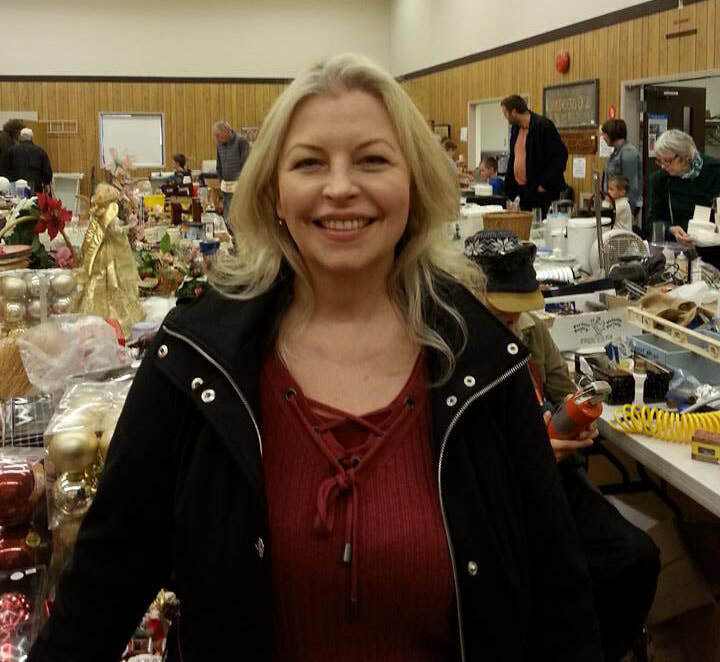 Joan says with results like this, it’s not likely they’ll drop the Chilliwack Garage Sale anytime soon. Three times a year our Mission Centre hosts Connection Retreats at one of our Community of Christ campgrounds. The unique feature of these events is that they are almost exclusively directed towards Seekers and non-attending heritage members of our faith community. Our last retreat had 57 attendees of which 65% were friends of faith who were unchurched, heritage members, those more spiritual than religious, Muslim, Humanist and Buddhist. For some this was their initial contact, with one person stating at the final gathering, ‘Thank God for Google Search” That is how she ended up being with us. 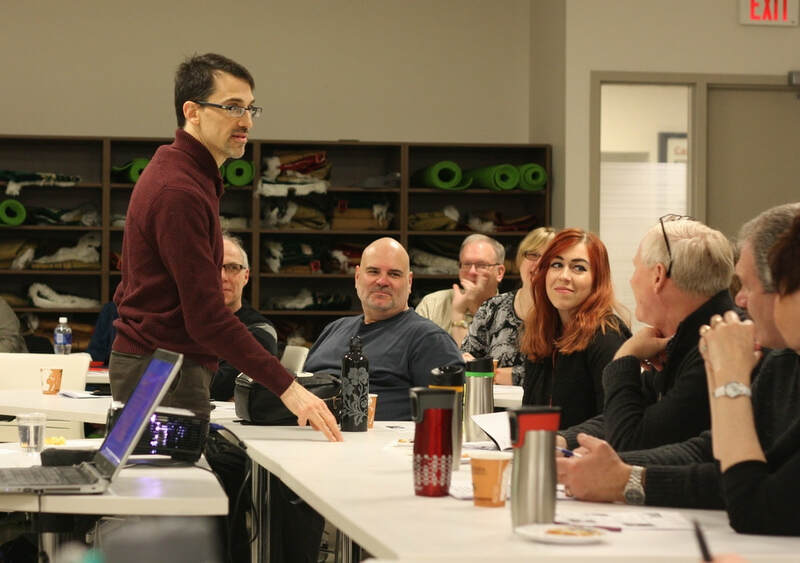 Many are attendees from our 20+ Conversation Meetup Groups throughout the Mission Centre that meet weekly for meaningful dialogue and emerging friendships. Some heritage members are invited to experience Community of Christ reframed in a new way. Our program is multi-faceted. The profile of most attendees as Seekers is spiritually based. We offer mind, body, spirit activities and practices from a variety of experiential forms. Tai Chi, yoga, labyrinth walks, guided meditation, drumming circles and others are offered. There are lectures, sacred listening groups, conversational dialogue and inter-faith learning as part of our experience. One of The Enduring Principles is our theme for the weekend. The chosen principle is introduced and woven into every dimension of our activities and final gathering. Identity displays, posters and memes in our gathering spaces help all internalize the precepts of Community of Christ inspired documents, mission and affirming inclusivity. Amongst our participants are leaders from many walks of life. Practitioners from wellness clinics, life coaches, artisans, spiritual directors come to encounter sacred community. A characteristic of many” more spiritual than religious” is that they practice their spirituality on a solo basis. They meditate, they attend classes, they are coached and receive treatments from wellness practitioners using different modalities, however, they ultimately practice their spirituality in their personal silos. Our retreat offering is one of rich community dynamics where deep relationships, shared meaning, companioning, and expanding dialogue enhance each one’s spiritual wholeness. We create fun times and shared experiences unlike what 99% of people have ever experienced. This is one of the gifts of Community of Christ heritage blessings of our camping community. Seekers find belonging in this encounter of community interaction blended with spiritual attunement. ​Testimonies abound. Our final gathering is a combination of many sacramental moments. Lives are touched, tears flow, hearts are opened, affirming expressions are widely shared one with another and sacred space is sensed with the Spirit abundantly present in our midst. We are immersed in joy. In our last retreat gathering we participated in a sports-type “wave” which flowed around the room with everyone rising with their arms in the air shouting out the word “joy” and other exclamations of boundless blessedness from the experience of the weekend. We experienced a place of safety and sanctuary from the world of stress, divisiveness and fear. As our community departed pledges of commitment to invite others, to become facilitators, to form groups evidenced the sense of belonging each one felt within and with one another. Community of Christ through our Creating Connection profile is reaching Seekers where they are locally, spiritually and emotionally. We extend their personal sense of spirituality into a sacred community experience which they discover is the home for that which they yearn. We are that home.